ON THE GO OC - Things to do with your family. 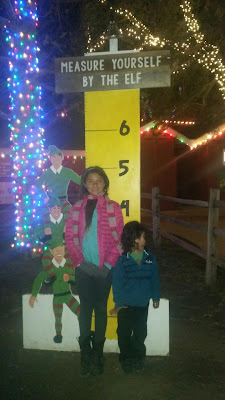 : Irvine Park RR's Christmas Train Took Us To Santa! 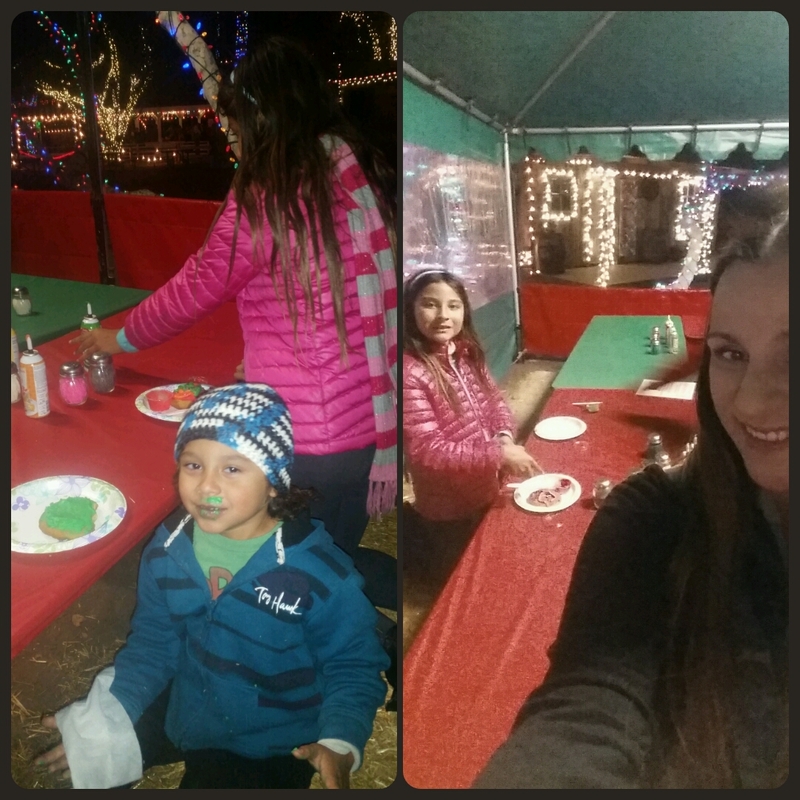 Irvine Park RR's Christmas Train Took Us To Santa! 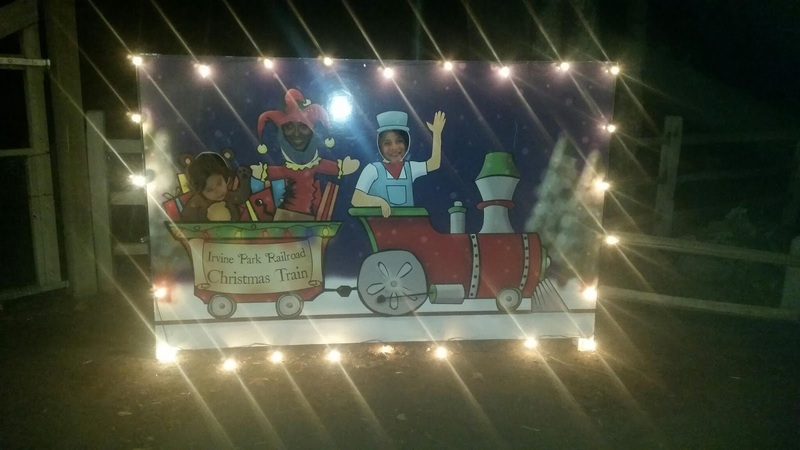 Irvine Park RRhttp://www.irvineparkrailroad.com/ Christmas Train, a Family Tradition! 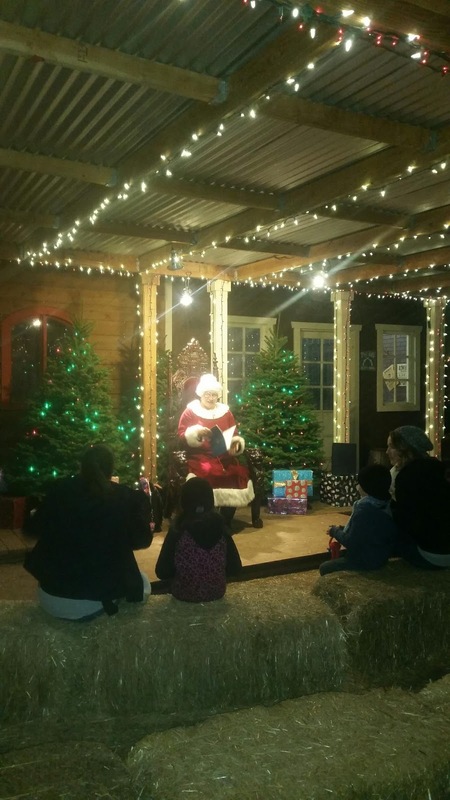 Each Season brings change and that goes the same with the seasonal events at Irvine Park RR. Each is special and unique! 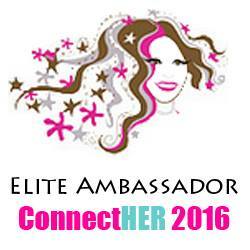 Make time for all the fun to be had! We were invited out to take the Christmas Train to the North Pole, and we had a blast. Love to measure my babies every seasonal event at IPRR! * Seeing Santa and taking the Train there. She loves to see the lights in the trees, around the lake and in the tunnel. * Listening to a special story with Mrs. Claus - she loves this every year! The Night Before Christmas was this years story and it was perfect. Story Time with Mrs. Claus - always so special. * Fishing in the Ice Fishing Game - She has the best time doing this. Maybe it is because she loves to go fishing with her dad. * Getting Hot Chocolate and Popcorn at Santa's North Pole - the cookies are the best at the North Pole so get them while they last, but if you miss out the popcorn is fresh and warm. 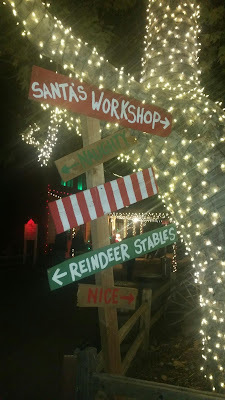 * Sitting in Santa's Sled - he just loved how big and bright it was and that he was allowed to sit in it for a while and as many times as he wanted to. * Seeing Santa - Santa was very patient and kind. He let us get situated and re-situated with the kids and with out. The photographer was super sweet and took pics with both their professional camera and my phone. 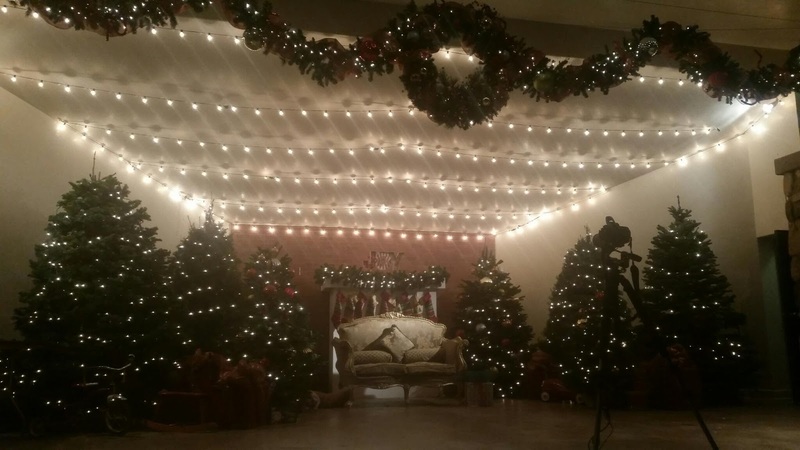 The setting is perfectly set for the Big Man in Red to hear your wishes and give you a treat. 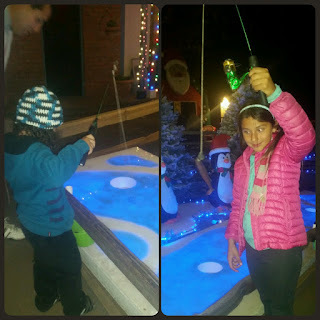 * Ice Fishing - this was perfect for sensory seeking kiddos. He was determined to fish out all of the fish from the ice hole and he sure did. Best part, everyone wins and walks away happy! So many photo opportunities, we just can't pass those up... ever! ** Both of the kids had a blast with the Cookie Decorating! My boy was licking the frosting off and adding more on. Thanks for the patience Irvine Park RR Staff! Oh, Are you still looking for your perfect Christmas Tree? 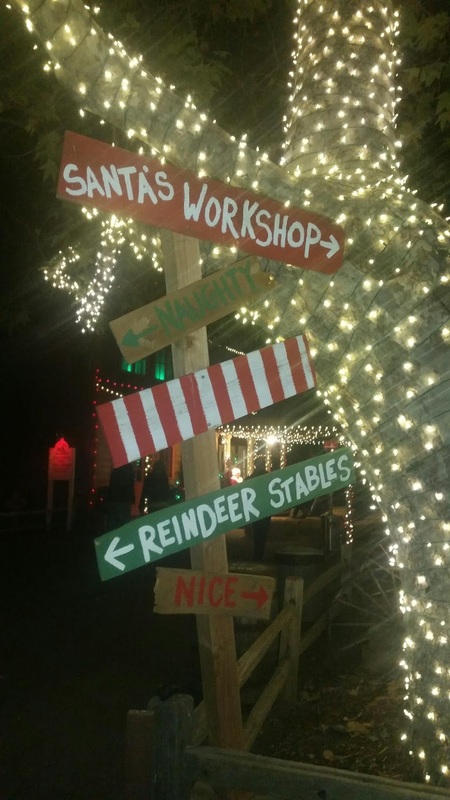 Check out the huge selection of bright Christmas Trees at Irvine Park Rail Roads Christmas Tree Ranch! They have all sizes, shapes and are fresh and GREEN! +IrvineParkRailroad .